When financial results aren’t what they seemed to be – and a company is forced to issue material financial restatements – how does it recoup the incentive pay and bonuses that were awarded to senior managers on the basis of rosier outcomes? It’s not a simple process, as evidenced by reactions to a provision in the newly-enacted Dodd-Frank financial reform legislation viewed by governance advocates as effective in increasing management accountability for financial results. Under the law, companies must develop policies to recoup improperly awarded compensation from all current and former “executive officers” for three years preceding the date on which the company was required to file a restatement. Such financial restatements are not uncommon. From 2002 through 2009, there were over 2,900 negative restatements of net income by listed public companies, according to an analysis by the law firm Latham & Watkins. And most companies do not have clawback policies in place. Only about 17% of 3,680 companies have disclosed clawback policies that at least cover senior management, up from a handful in 2005, according to proxy advisers ISS, as reported in The Wall Street Journal. Large companies are more likely to have clawback policies: 71 of the largest U.S. companies have policies in place, according to a new survey by the law firm Shearman & Sterling. But even those will likely need to be revised and updated in response to forthcoming SEC regulations regarding the Dodd-Frank requirements. The SEC has said it will publish rules in time for the 2011 proxy season. When designed properly, a policy allowing for clawback of pay from high-level executives “is a significant mechanism for corporate accountability,” says former GE senior vice president Benjamin W. Heineman, Jr., writing on the Harvard Law School Forum on Corporate Governance and Financial Regulation. The problem, according to Mr. Heineman, is that hundreds of companies that don’t have policies must now design one. Among the questions they need to answer: Which executives are covered by a policy? What event triggers implementation of a clawback? 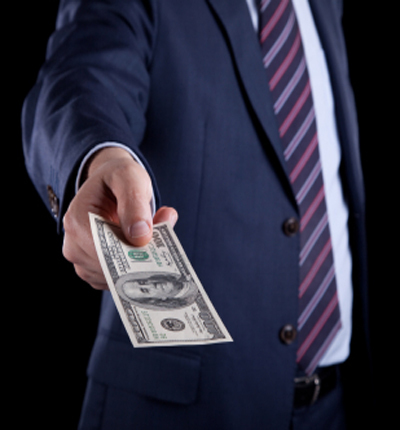 What types of compensation should be recovered? What is the forum for resolving issues? Is a “holdback” (cancelling unvested benefits) better than a clawback? Clawbacks are not entirely new. The Sarbanes-Act of 2002 gave the SEC the power to recover restatement-related compensation and stock profits from Chief Executive Officers and Chief Financial Officers. But the Dodd-Frank Act expands the breadth of the clawback requirement, according to the Latham & Watkins analysis, because it requires reimbursement from a broader pool of “executive officers” and forces the company (not the SEC) to take action. The Dodd-Frank legislation also expands the period subject to compensation clawback and, importantly, does not require a restatement to have been the result of “misconduct” by an executive, as required by Sarbanes-Oxley.